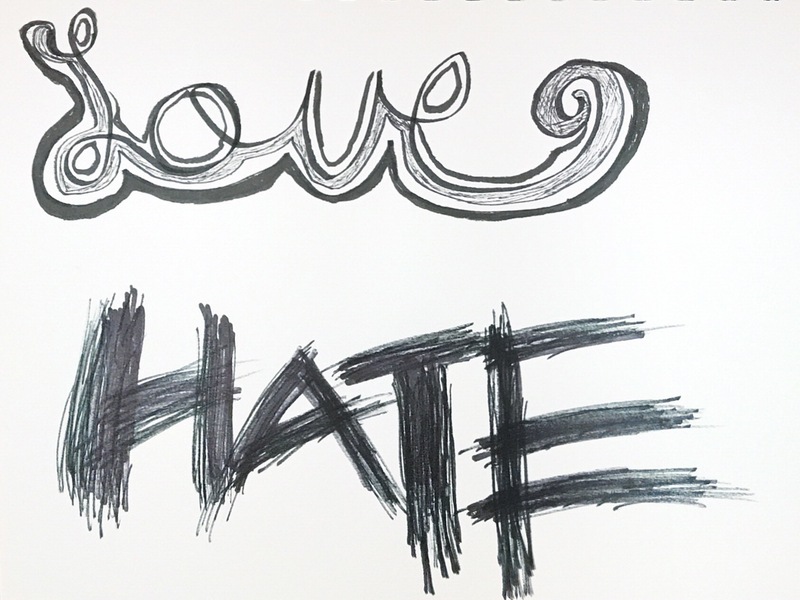 Yesterday’s lesson was to draw the words love and hate, conveying the emotion of the word in the line. I really enjoyed this in the sense that it made me understand how emotions really inform the way a line will look. Very interesting! I used calligraphy pens, a pentel pocket brush pen, and a sharpie.